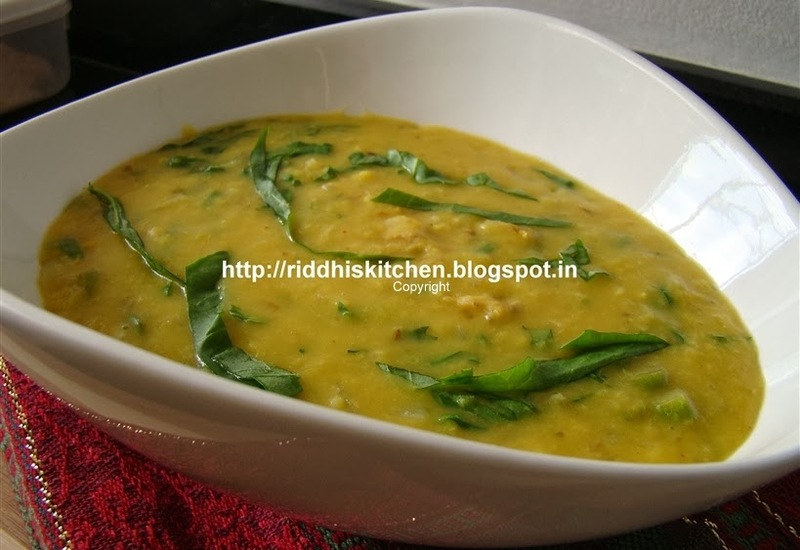 Boil moong dal in water along with salt and turmeric powder. Heat oil and add a pinch of asafoetida and cumin seeds. Also add chopped onions and chopped green chilies. Saute till onions are soft. Add ginger paste and garlic paste and saute for ½ minute. Add dal to this mix and bring to a boil. Finally add shredded spinach leaves and lemon juice. Simmer for 2 minutes and serve hot.